Every year the FoDLA druids hold a summer conclave. This July (21st and 22nd) it was held in southern California in the Los Padres National Forest on Mt. Pinos. The summit of this beautiful mountains rises more than eight and half thousand feet, high above the arid country below, its slopes clad in beautiful Jeffrey pine and spruce forests. 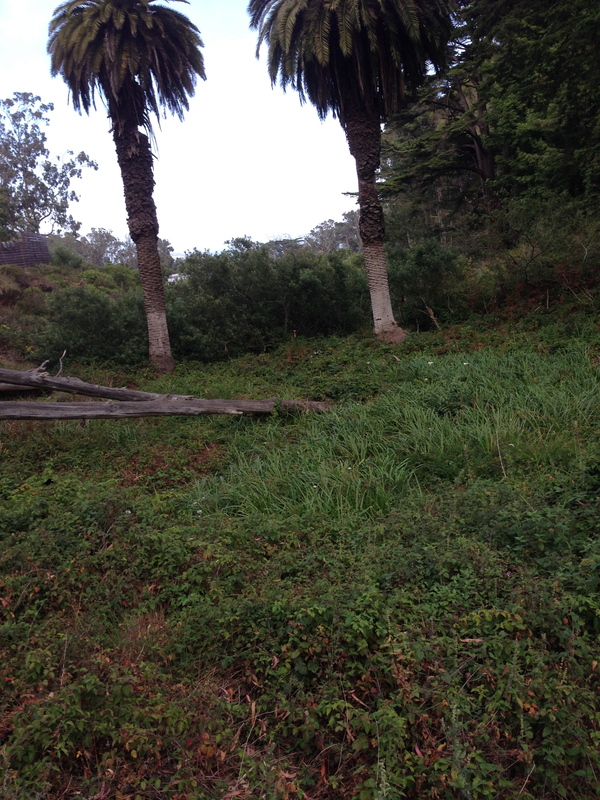 For the Chumash tribes the mountain was considered center of the cosmos and a place of perfect balance. Its open woods, high meadows, and looming rock formations are imbued with the numinous. I can say it was an honor to receive my initiation/ordination surrounded by the beauty of this sanctuary. The forest is a lesson in resilience. The pines bore burn scars, yet most of these trees are vital, obviously flourishing. Fire is a part of the cycle of these ecosystems. 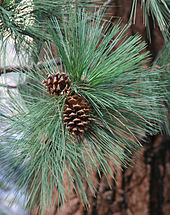 There are even species of pine whose cones only open and disperse seeds in a fire. On the first day we went out to connect with the land, as this was a new site for us. The forest was singing as the wind played through the boughs of the trees. The place felt open and welcoming. Stellar’s jays called out. Here and there were vistas of a valley below. There were signs of an old fire, perhaps from a decade or so ago. One majestic pine had been partially hollowed out in the fire, a cavity just big enough to enter was created in the trunk. Within jewel like globes of resin hung suspended on the blackened bark. They caught the light of the sun. it was literally and spiritually illuminating to step into this cavity. I meditated on my own growing back from fires that have raged and burned at times in my own life. When I emerged I had to immediately sit down on the ground and compose a poem. Clasped in cave of Druid Tree. Before my initiation I prayed in a meadow of lupine and iris. A Monarch butterfly lazily flew under the brilliant blue sky at this 8,300 foot altitude; it had had a long journey like myself. Bees and songbirds trembled through the flowers. Chipmunks and lizards scurried about. Life overflowed its cauldron. Of the rite I won’t speak, but everything arranged into a perfect moment. My thanks to all who have helped me on this way. I feel an important part of orienting to landscape as a Pagan is to find a sacred mountain. Many readers are probably familiar with Walter Evans-Wentz, the author of the early twentieth century study of the Celtic fairy faith. Some know he edited and compiled translations of the Tibetan Book of the Dead also, but fewer will know his book Cuchama and Sacred Mountains. Tecate Peak is known as Kuuchamaa, a sacred mountain to the local Kumeyaay people (also called Dieguenos). This work written in the last years of his life while living in San Diego, California was published posthumously. It’s still worth reading and besides writing about the humble appearing but powerfully sacred Kuuchamaa it surveys sacred mountains around the world., which are often considered the center of local cosmologies. All around the world one finds reverence for mountains, mountain worship and mountains as symbols of spiritual wisdom. A small sample of famous sacred mountains would include Mt. Kailash, Fujiyama, , Kilimanjaro, Mt. Snowdon, Denali, Mt. Shasta, Popocatepetl and Mauna Kea. I think one of the most important steps Pagans can take in orienting to their sacred landscape is finding a local sacred mountain (or several). When I moved to the San Francisco Bay Area in 1989, one of the first things I did was make contact with eminent mountains. In my case it was Mt. Tamalpais to the north, Mt. Diablo to the east, and San Bruno Mountain to the south. On a smaller scale, one might find a hill that is much nearer one’s home to make contact with and commune with more frequently. Such practices are being called local focus paganism/polytheism/animism. With such practices we start to weave a fabric of bringing our paganisms home. I hear people who say they have such a sense of loss due to living so far from their ancestral homelands. While on one hand I can understand, and have at times poignantly felt that, I think it imperative that we start to celebrate the landscape and attendant spirits and creatures of where we live, and that this constitutes a coming home, a leaving of an exile which I see truly associated with Abrahamic religions with their casting out of Eden narrative. As a Druid, Ireland and other Celtic lands have deep sacred resonance for me, but I live far to the west, a direction that in the lore was associated with the Otherworld, often with archipelagoes of Otherworld Islands. How intriguing to think of my land, California, which the European colonialists first thought to be an island, as one of those islands. There is such magical resonance in approaching the local land goddess with this myth in mind. California was named for Califia, an Amazon-like queen of a mythical island (let’s say otherworldly island) in a romance that was popular in Spain in the 16th century. She has been a popular subject of local art in more recent times, and I have come to think of our Land Goddess as Califia. If one lives in a land where the lore has been lost, one can still find many clues to help remythologize the land. The mountain strikes me with its exuberant greenness. Green covers such an expansive chromatic range, the pastel of lichens, the dusky dark of some of the conifers, the emerald brightness of the moss in the dripping woods. Then the mottled grays speckled with russets, ochres, oranges, and the glassy reptilian shininess of the greens, blues and black of serpentine. Surely this rock is well named, the mountain is studded with its outcrops. 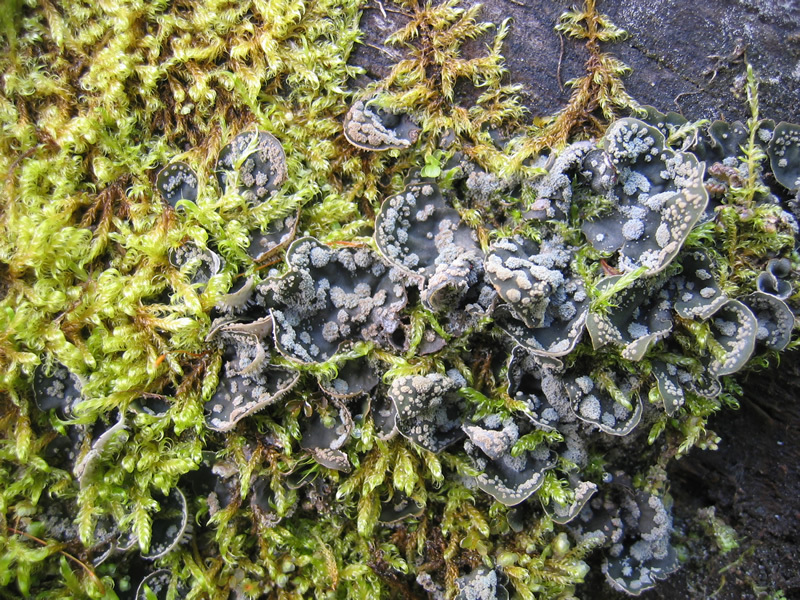 Its acidic nature controls the plant communities that grow on and amidst it, some species, like some manzanita, uniquely adapted to it. Rocks break through the surface, through the skin of the land, and through my psyche; these are minor acts of revelation. Do their spirits call for my attention? Some emerge and others seem aloof, concealed. The mountain runs with dozens, probably hundreds of creeks, some whispering, some chortling and some singing melodiously as they tumble down their courses; some in a hurry and others meandering. I come to a bench, a perfect place for practice, a creek just to my side; just beyond the trail sketchily climbs up a rock strewn slope. Directly in front of me is a meadow, where two deer emerge from their camouflage, white tails flashing, and do a weird high stepping routine. Irises grow around me, faded violet, pinkish, they seem late as do many of the wildflowers, extending their blooming season in this late wet season. The soft rain does not deter me; it makes for more solitude. I only come upon a few people. Solitude, an interesting word to poke and prod at. We think of solitude as being key to spiritual practice, we meditate in solitude, in that aloneness. But paradoxically it is a setting aside of ego where often other voices emerge, perhaps out of self or from our surroundings. In our abiding the boundaries between self and other slips, we become much more permeable than in ordinary situations. We are immersed in spirit(s), surrounded and permeated with a multitude of intelligences. The mountain is speaking, whispering, uttering all around me.